William Chow was born as William Ah Sun Chow Hoon on July 3, 1914. 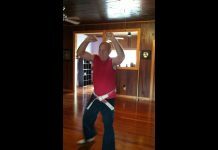 He was instrumental in the development of martial arts in the United States, specifically the family of styles referred to as kenpo or kempo. Born in Honolulu, Hawaii he was the third of sixteen children and first son born to Sun Chow Hoon (AKA Ah Hoon Chow) and Rose Kalamalio Naehu. William’s father came to Hawaii at the age of 19 and worked in a laundromat as an immigrant laborer. His mother was of Hawaiian descent. 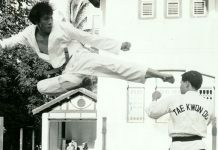 One of his brothers, John Chow-Hoon, would also go on to become a well known martial artist. His childhood was reportedly rough and tumble in a highly militarized post–World War II Hawaii. William would drop out of school at age eleven from the sixth grade. It is generally accepted that young William studied several types of martial arts as a young man, likely including boxing, wrestling, jiujutsu, and karate. Though he stood no more than 5’2” tall, he was well known for his powerful breaking techniques. 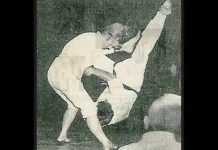 William eventually would come to study “Kempo Jiujutsu” or “Kosho Ryu Kempo” under James Mitose. As he progressed it is said that he often took his techniques to the streets of Honolulu and tested them against US military personnel. While reportedly he was in many fights, William did not often run afoul of the law. 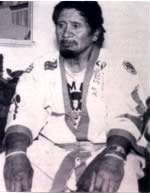 William “Thunderbolt” Chow would go on to become one of five people awarded black belts under Mitose. It is interesting to note that while Chow was an instructor under Mitose, his actual black belt certificate was signed by Thomas Young, Mitose’s senior student and instructor. 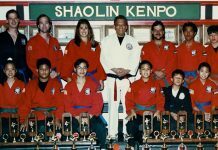 In 1944 William Chow began teaching what he called “Kenpo Karate” at the Nuuano YMCA in Honolulu. As Mitose had never related his kosho-ryu style with karate, this was a departure for Chow. His many students would include such notables as Edmund Parker, Joseph D. and Adriano D. Emperado, Paul Yamaguchi, Bobby Lowe, Ralph Castro, Sam Kuoha, John Leone, Nick Cerio, William G. (Billy) Marciarelli (Kachi/Kenpo) and Paul Pung. 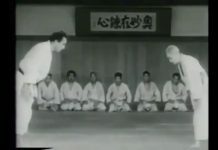 He did not create or perform many kata but focused more on individual techniques. 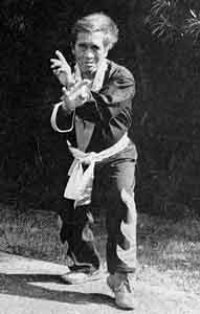 William Chow’s legacy would blossom with the migration of kenpo to the mainland of the United States with Parker (American Kenpo), Ralph Castro (Shaolin Kenpo), Adriano Emperado and his students (Kajukenbo, Karazenpo go shinjutsu) and later with Nick Cerio (Nick Cerio’s Kenpo) who would be instrumental in helping to bring kenpo to students in the eastern United States. 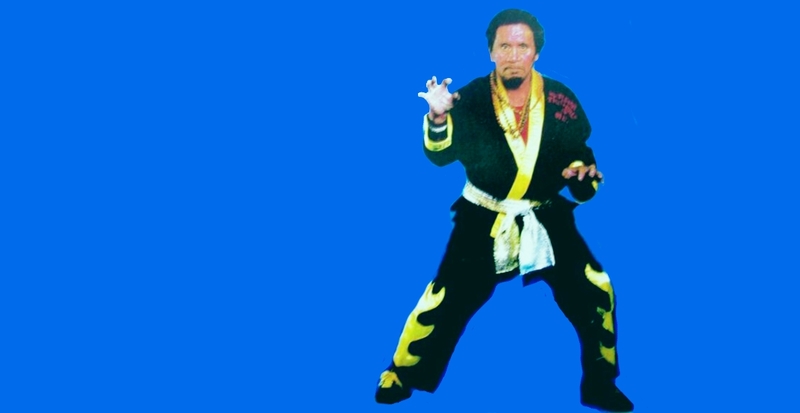 Professor Chow (as he would later be referred to) is credited with championing and spreading a family of martial arts known for their speed, efficiency, and effectiveness. Many would expand, modify and add to what Chow had given them. Despite his heavy influence on the martial arts in the United States and his many notable students William Chow never had a dojo of his own, often taught in the park, and is thought to have lived in near poverty much of the time. Precisely why he never capitalized on his position in the martial arts may remain a mystery, but it seems likely that his personal convictions and background made such thinking at least foreign if not distasteful to him. 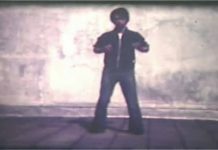 Nick Cerio once stated on Chow that “He was a very cautious individual who had no business sense whatsoever.” (Liedke) Professor Chow referred to his as a “War Art” and focused largely on fighting techniques that he felt worked in the streets. Shortly before his death on September 21, 1987, Professor Chow would rename his system “Kara-Ho Kenpo”. Professor William Chow died of a cardioventricular accident due to hypertension.